With Marine Original model equipped with Durowe 7440 movement, STOWA & Jörg Schauer welcomes the lovers of traditional watch making to enjoy the heritage of a legendary movement brand. In the year 2002, Jörg Schauer acquired the rights to protect the old historical brand name Durowe. 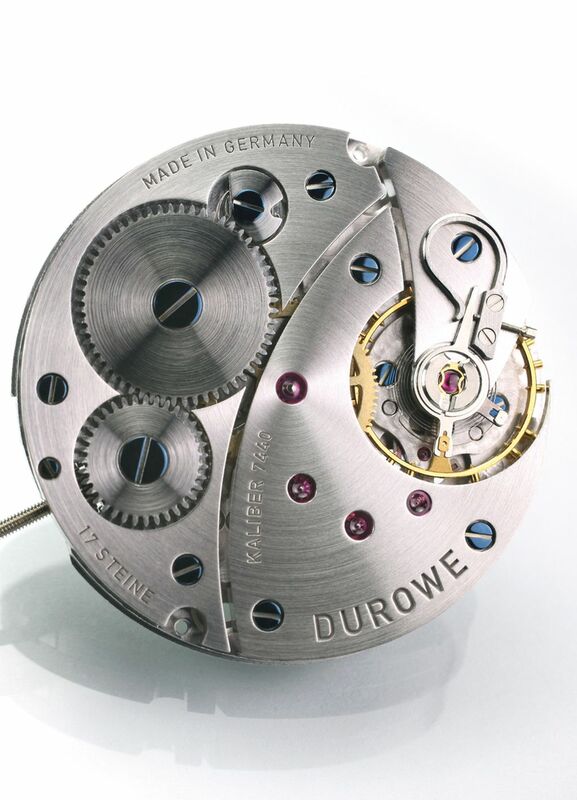 However the restoration of the vintage Durowe movements created in Pforzheim was not succeeded. The plan to modify ETA 2801 movement was also failed due to the new policy of Swatch group regarding the supply of ETA movements to other brands. 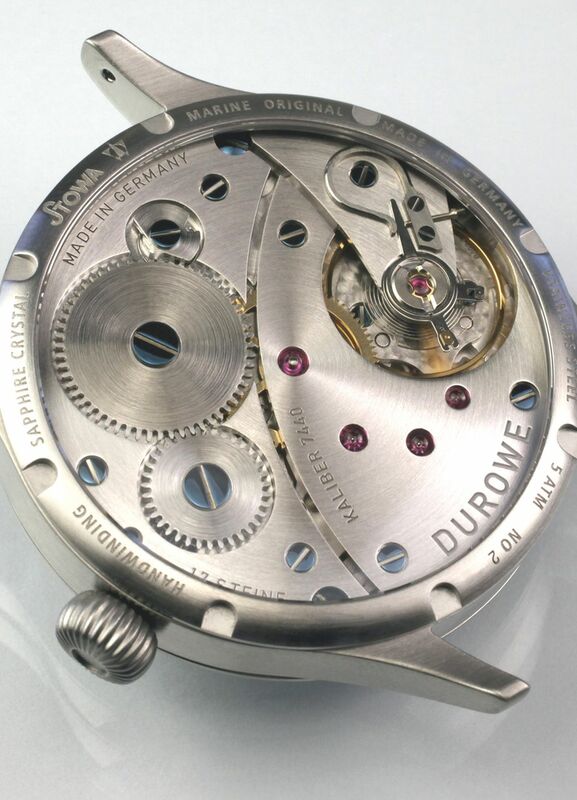 The growing demand of larger watches inspired the company to use the Unitas 6498 movements in the watches that to be made under STOWA – DUROWE brand name. Since the brand has already developed some modifications which far exceeded the basic price of the movement – they decided to have the right to re-name the movement. A bigger stock of the movements had been reserved, the modified movements renamed as Durowe 7440. 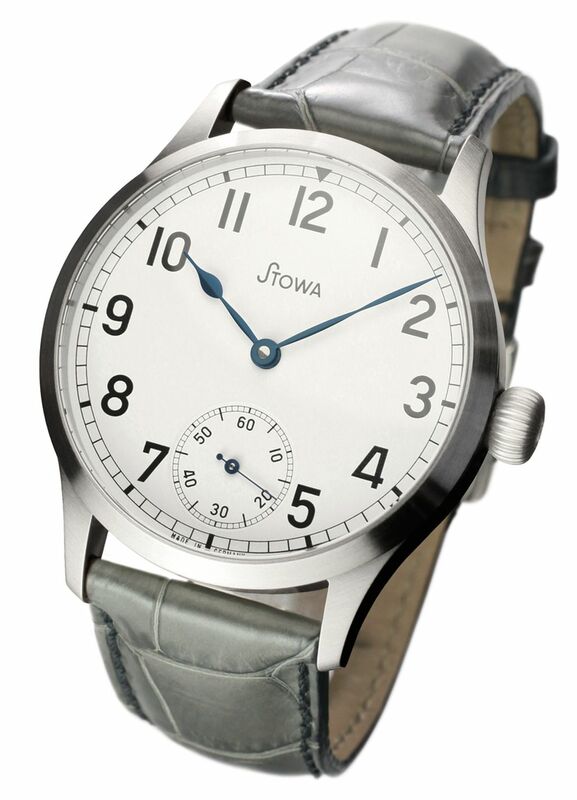 In 2010, STOWA equipped the Marine Original model with Durowe 7440 movement. In 2011, the Marine Original introduced, which featured a solid silver dial and perfectly fitting blued steel hands. The matt finished case with the onion crown and as a proposal with a grey croco strap gives to the watch a completely independent design. This model is available in a small series.